Maple syrup is a staple at the breakfast table, but it is now finding its way into cocktails, sauces, sides, yogurt and even beer. As an original farm-to-table product, each year’s maple harvest exudes its own authentic flavor characteristics. 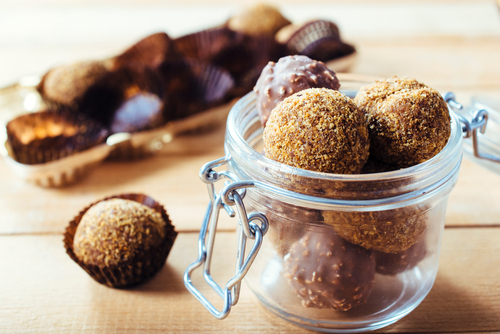 It’s these distinctive nuances that have reinvigorated maple as a must-have ingredient in chef’s kitchens nationwide. 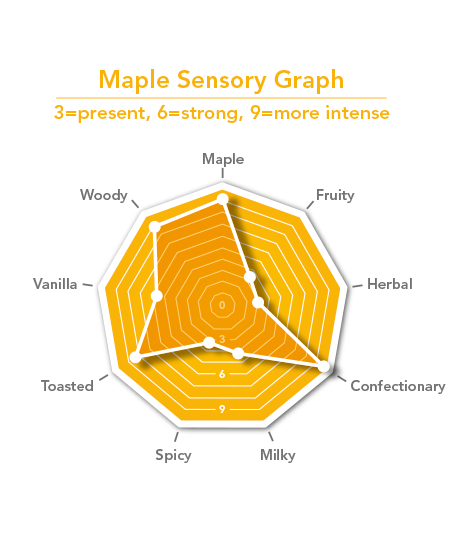 Inspired by maple’s renewed popularity, Synergy set out to create a sophisticated maple flavor profile more indicative of the natural occurring substance than standard pancake syrup. Intrigued by the growing interest in aged and oak cast spirits, we decided to add depth to our traditional maple flavor with all natural Synergy PureTM Oak Essence. This enhancement, gave our Maple flavor a more robust, smoky and woody profile that consumers are pining for. 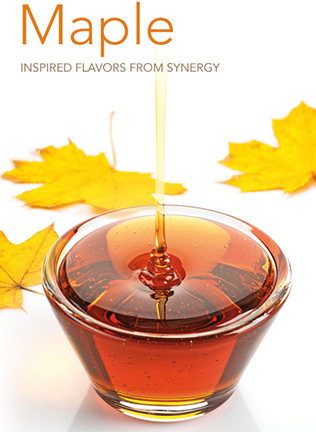 If you would like to sample our latest Flavor of the Season, Maple, or specialty application, please contact your Synergy Flavors sales representative at (847) 487-1011 or send us a note through Contact Us. Maple is familiar, comforting and uniquely North American. The Early European settlers learned the art of sugaring from Native Americans, who first tapped maple trees and boiled the sap to make a sweetener. Intrigued by the growing interest in aged and oak cast spirits, we decided to add depth to our traditional maple flavor with all natural oak components. To read more about our Maple spiked with oak characteristics, click here.